With this week’s Brexit chaos I was reminded of the Mary Poppins-inspired solution to Brexit that I came up with after the referendum. I also think our combined flag would be awesome. Facebook are a deeply creepy company, which is why I deleted my account last year. Yet I still use WhatsApp, and I wonder if it’s ethical to keep using a Facebook-owned app in the face of all the creepiness that the company still engages in. The young people who marched yesterday demanding climate action deserve more than platitudes in response. 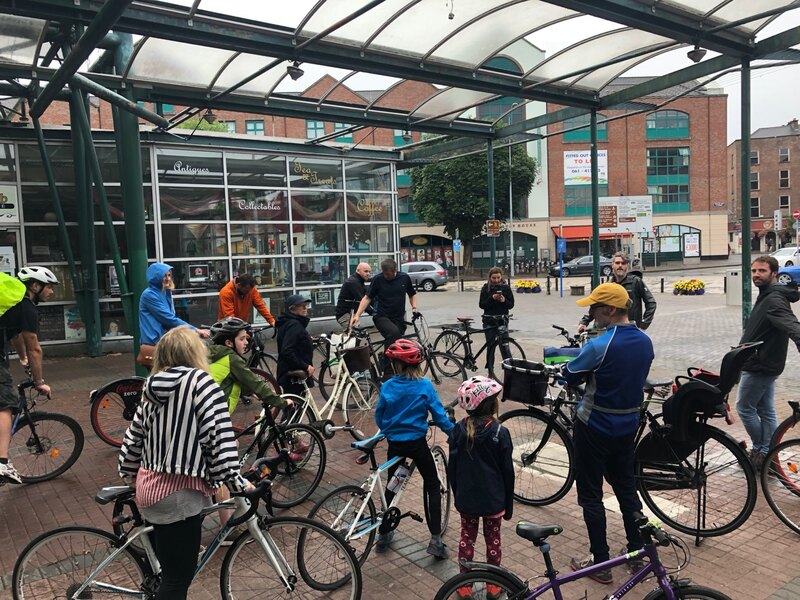 Here are some of my thoughts on what we can do in Limerick. 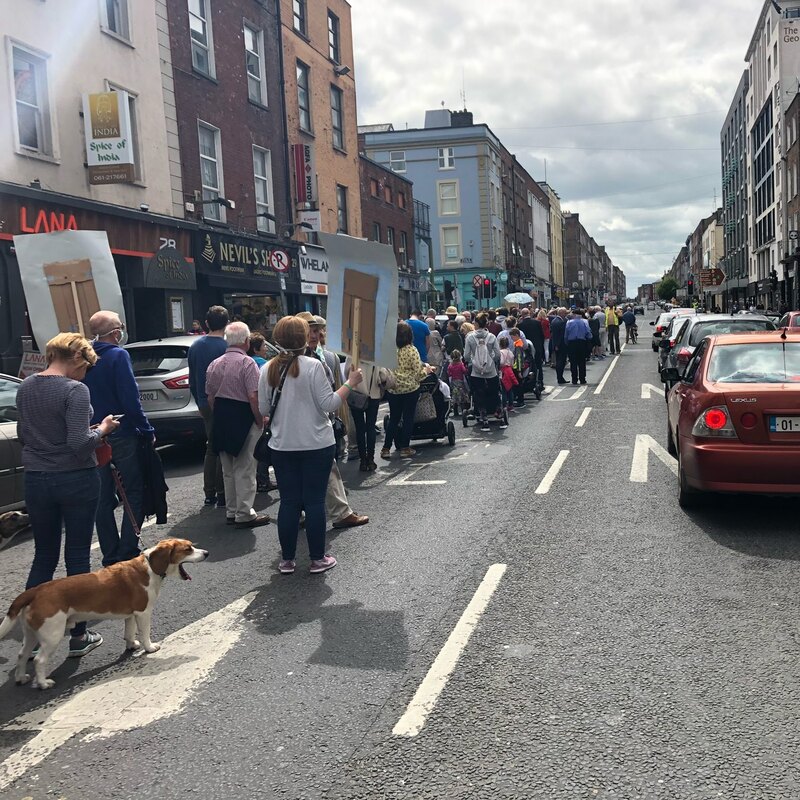 Politicians supporting the climate strike while also supporting motorway construction, building houses and schools designed around the car, and a climate-damaging agriculture policy are hypocritical. Our children are striking for action, not platitudes, and we’re failing them. Heading to this tonight. Really looking forward to it. 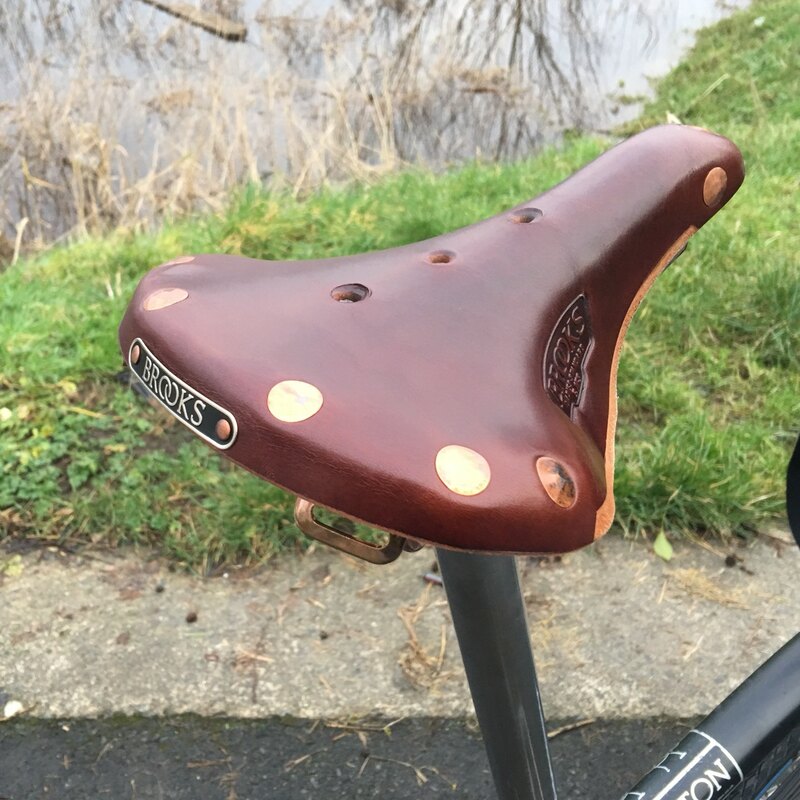 The rear light on my black Brompton is faulty, so I’ve borrowed my wife’s Turkish green mode for the daily commute. It’s a very pretty colour, shows the dirt a bit more though. 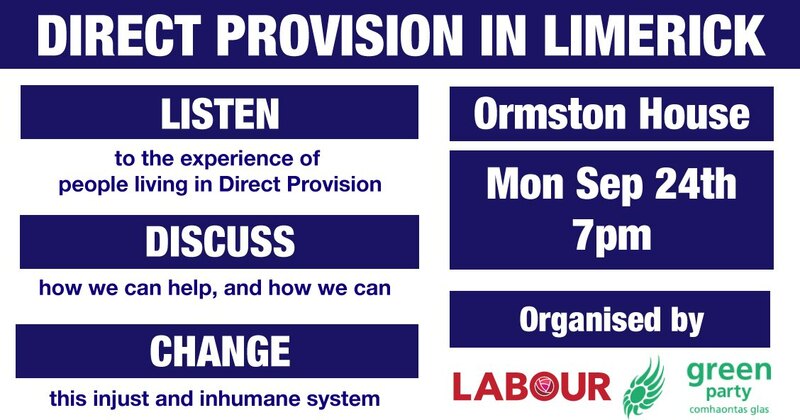 The Greens and Labour have organised a meeting next Monday in Limerick to listen to the experiences of people in the Direct Provision system. We’re grateful to the people who have agreed to speak and I hope lots of people will come to Ormston House to listen and show solidarity. Straw poll of two people taking the bus to work on UL campus this morning, both journeys of ~7km: 1 hour 20 mins (1 bus); 1 hour 50 mins (2 buses). Slower than walking pace. 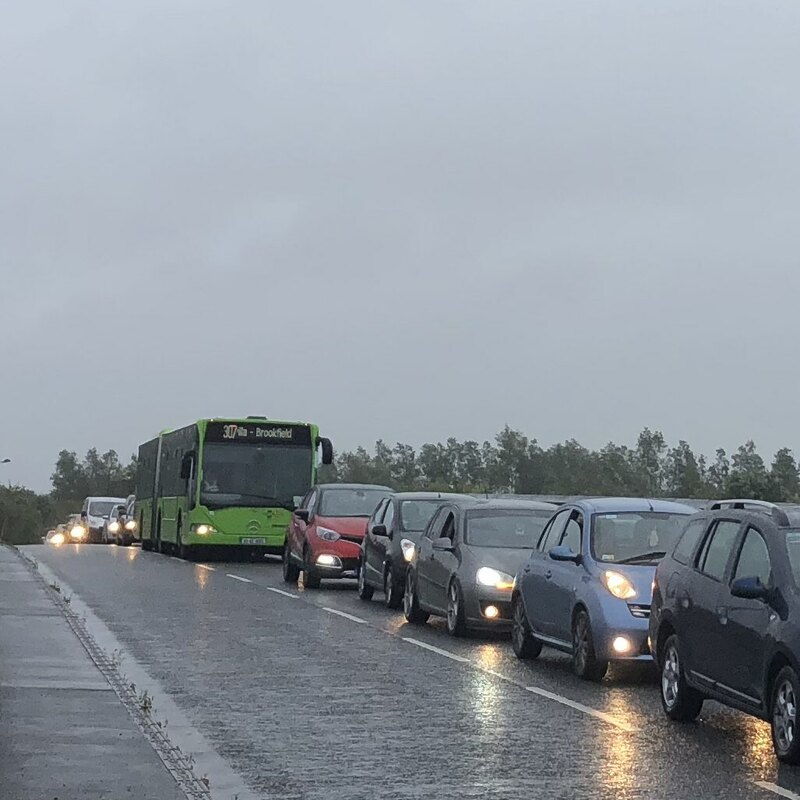 Consequences of designing a university campus around the private car: a bus stuck in a 1.5km tailback to the gates of the University of Limerick. 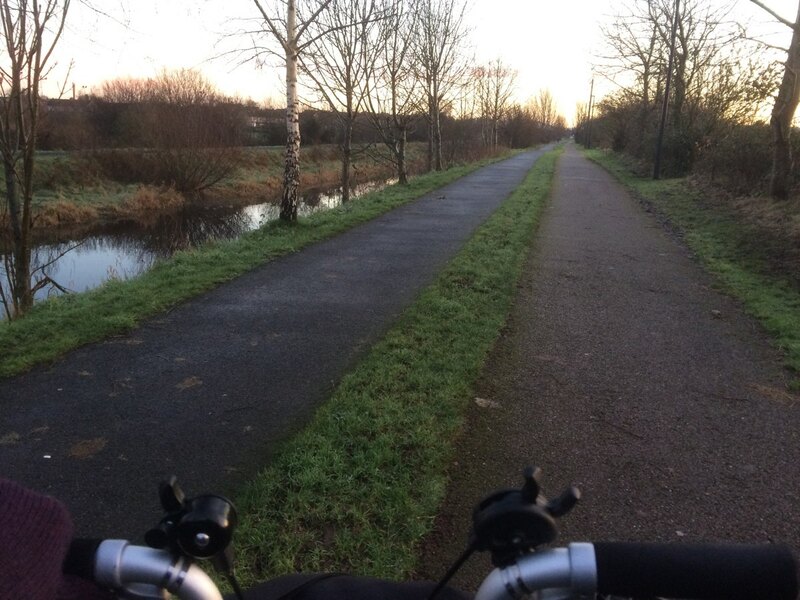 Rant: walking, cycling and taking public transport in Limerick is universally terrible but easily fixable if politicians/officials/we cared. Instead we’re stuck in the 70’s, trying to put cars everywhere. This makes our city so much more crappy than it needs to be. I should add better public transport is also important for social inclusion as well as attracting overpaid nerds. On the bus to Castletroy this morning. I’ve spotted two other software developers on the bus. We’re crawling along due to traffic. Limerick needs to sort out public transport and stop fetishising the private car if we want to attract professionals in high demand to the city. My father-in-law, Joe Cahill, passed away this morning. 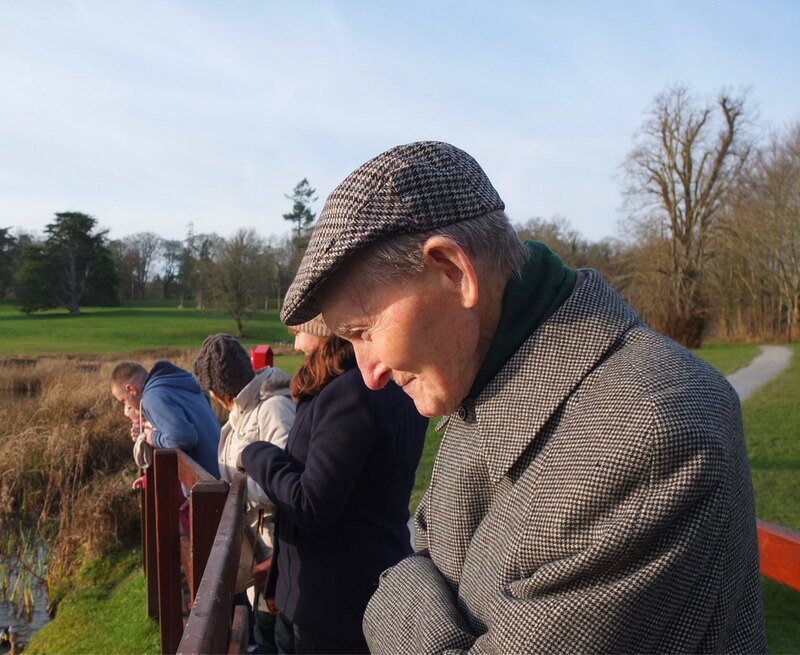 He was a lovely kind and generous man and he will be missed. Wake in Ovens Co. Cork (Eircode P12 Y239) tomorrow at 6pm and funeral mass at noon Weds in Macroom church. A beautiful, eloquent and wise piece from a wonderful Limerick Repealer about the referendum. What’s next after Repealing the 8th? I’d like to help get a woman elected to Limerick Council. 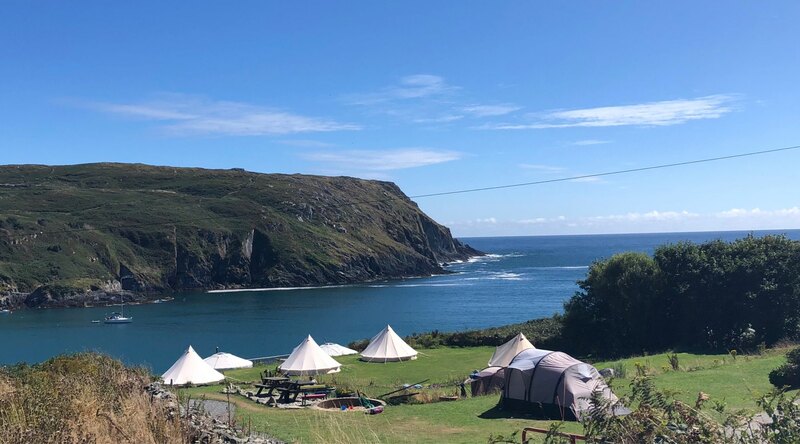 Had a lovely few days camping on Cape Clear off the coast of Cork. Some accounts I’ve read over the past few years from engineers and other professionals in the tech industry who have experienced sexism and harassment. This is pretty terrible: FitBit doesn’t allow you to enter a period length of over 10 days. 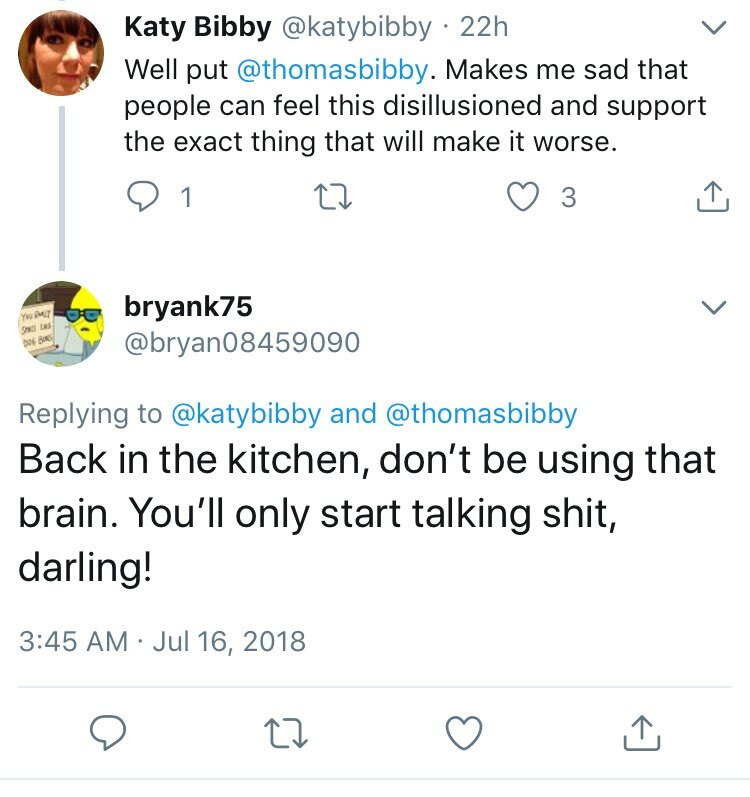 This is a wonderful account by a lovely Limerick repealer of the referendum campaign. And if you’re a repealer I’d love to read your story too. This was so much fun. Can’t wait for the last Friday in August when we get to do it again. Effective because they put a password you’ve used in the subject line. Ransom is $1000! Looking forward to hearing Karin Dubsky speak in Askeaton tonight about the Shannon Estuary, should be a great event. “Inspired” by Jordan Peterson, I tried to come up with a list of 12 better rules for men. 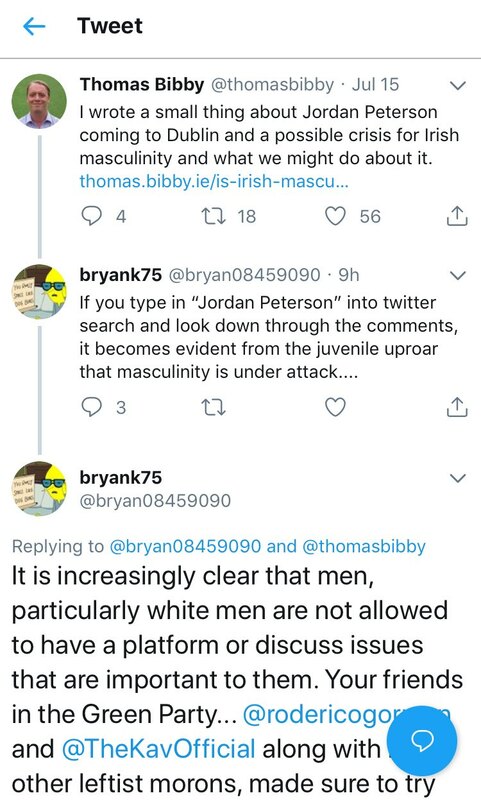 I wrote a small thing about Jordan Peterson coming to Dublin and a possible crisis for Irish masculinity and what we might do about it. 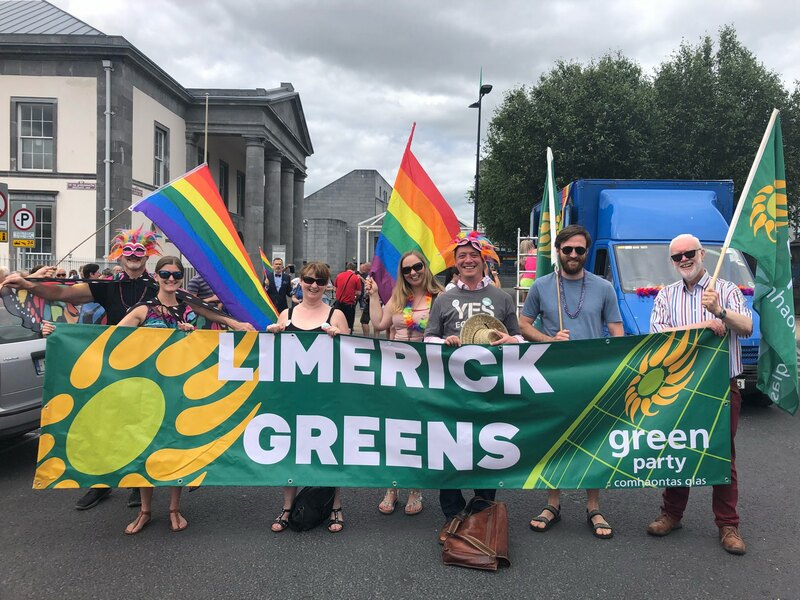 Happy Pride from the Limerick Greens. 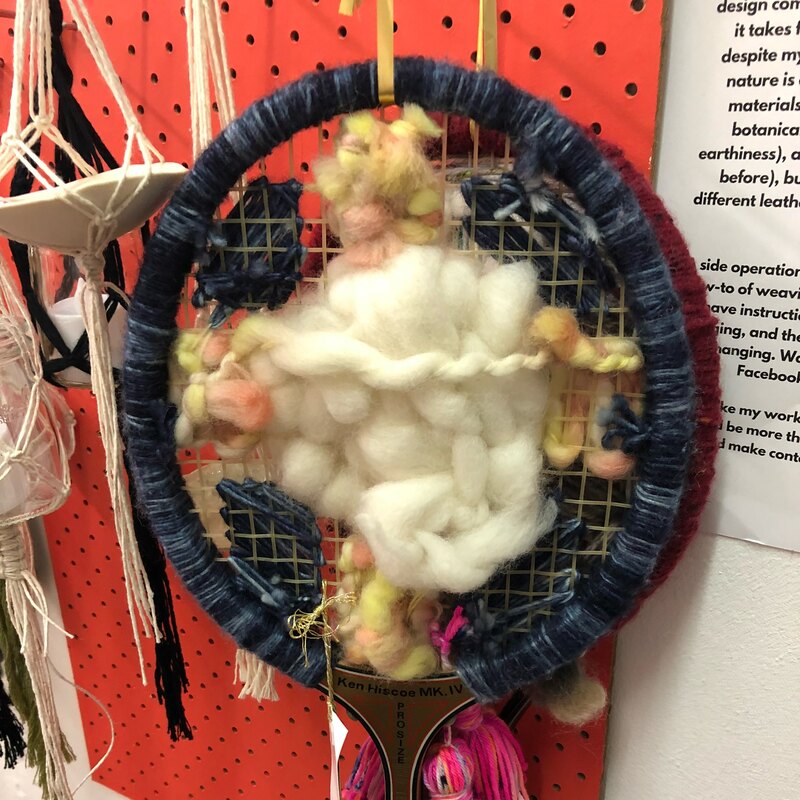 So many beautiful things in Made in Limerick on Thomas St. Worth a visit! My new internet addiction: so simple yet so clever. Let’s write a mini story together! Any software developers in Limerick looking for a junior role? Feel free to drop me a line. Email address on my website. 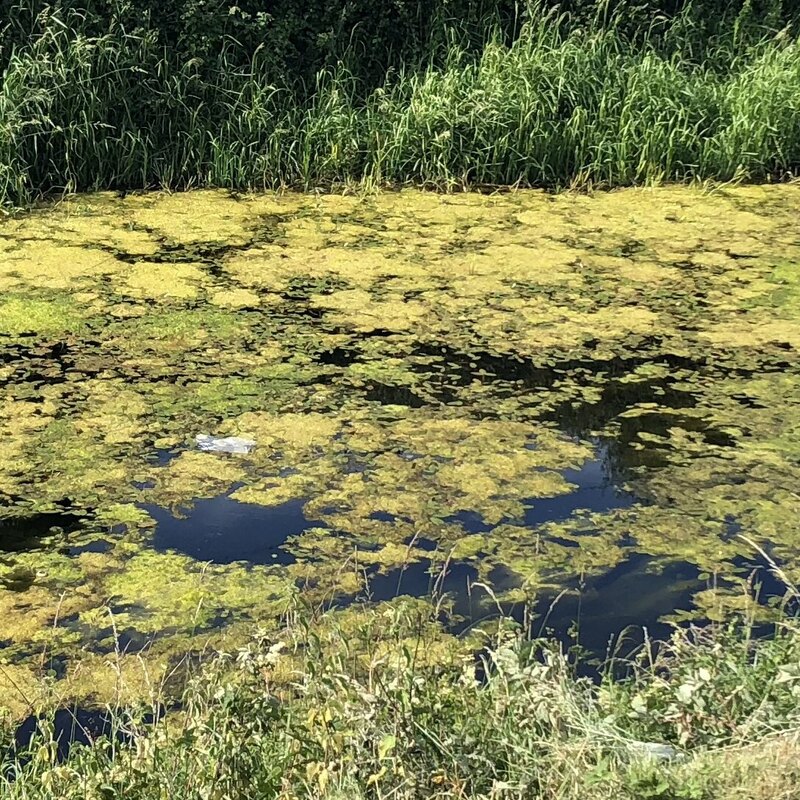 Dear Autocorrect: I’m not sure this algal bloom is what you meant by ducking hell but I’d say it’s pretty ducking annoying. Also: no ducks in photo as they ducked off. 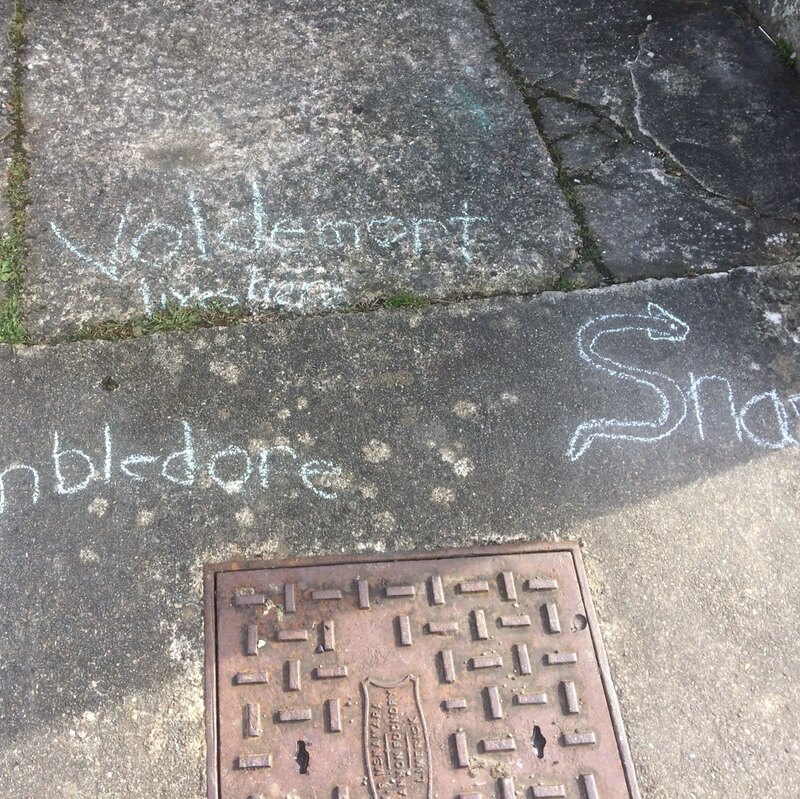 This is a lovely account of the referendum campaign in Kerry. Captures perfectly the loneliness at the start, the struggling through when we thought we were going to lose, the late euphoria when we thought we might win, and the sense of loss thereafter. Feeling utter shame that Ireland is ranked 27th out of 28 European countries in tackling climate change. Our inaction is an act of sabotage against the world’s poorest people. Ambitious cities plan for great public transport. It’s great that Dublin is getting serious about buses but we desperately need a similar plan for Limerick. Planning now for a high quality bus system will ensure inward investment and social inclusion in the future. 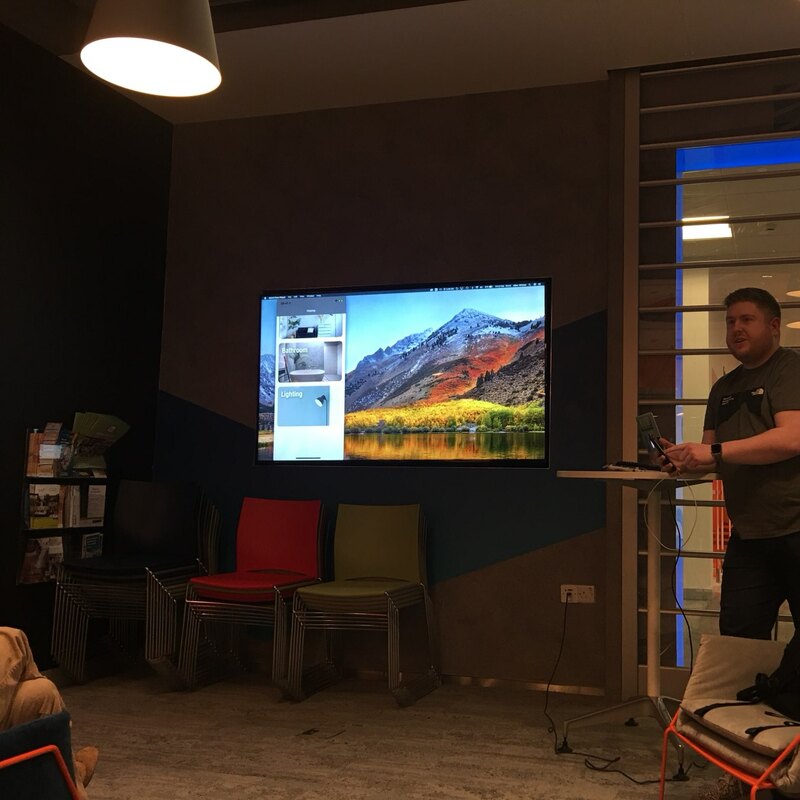 Great session last night at the Limerick iOS dev meetup, with a really accessible talk on Augmented Reality and its applications in industry. 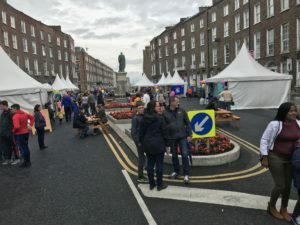 This Sunday Catherine St. will be closed to traffic and open to families. Come along and get a glimpse of a safer, happier and healthier future for Limerick. 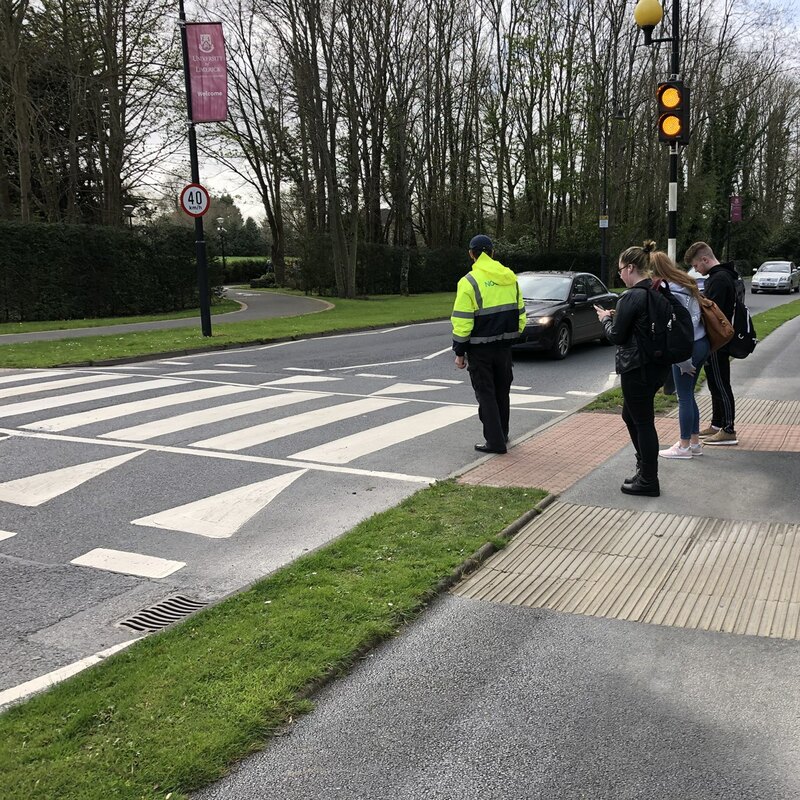 The University of Limerick actually employs people to stop pedestrians from using pedestrian crossings at rush hour. 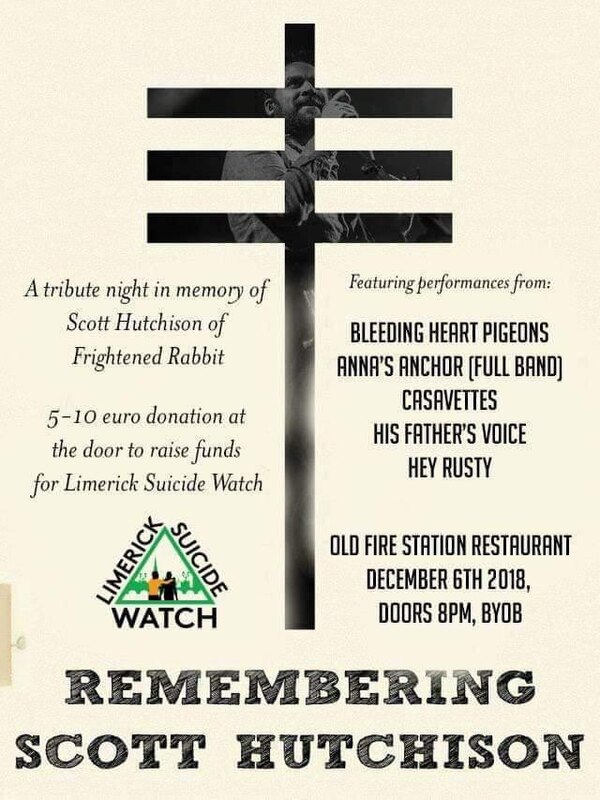 Men of Limerick, we need your help this Wednesday. 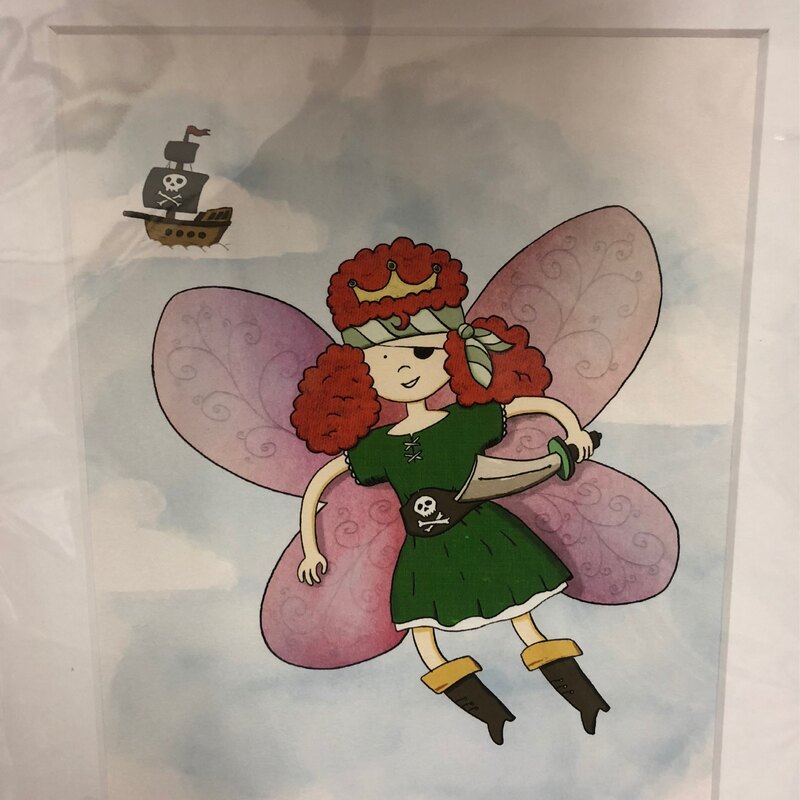 Our 51st podcast episode, and our first with a guest. Stephen Coyle joined us to talk about all his apps, the challenges of being an indie developer, and lots of other things. Really enjoyed recording this one. 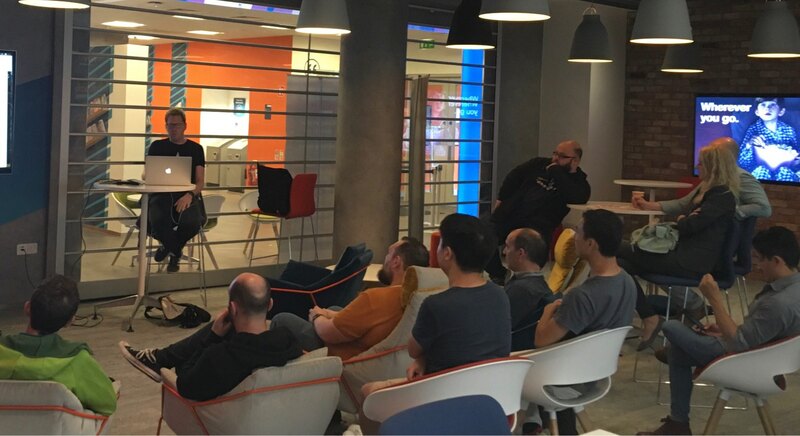 The next Limerick iOS developer meetup is on Friday. Looking forward to hearing Brian Halpin give an overview on developing for the Apple Watch. Newcomers welcome! An eloquent and powerful piece by Anne Enright in The Guardian today about pregnancy and consent. 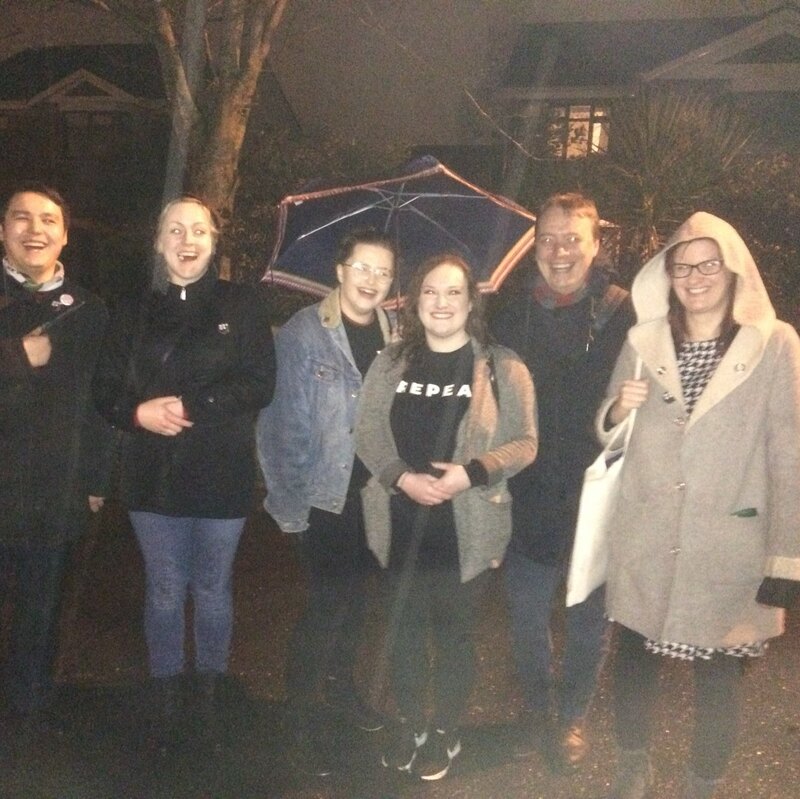 First pilot canvass in Limerick tonight. Positive response. We’ll be out in numbers from next week. Episode 50 of our podcast is out. Of course we forgot to mark the milestone. Looking forward to the next 50. 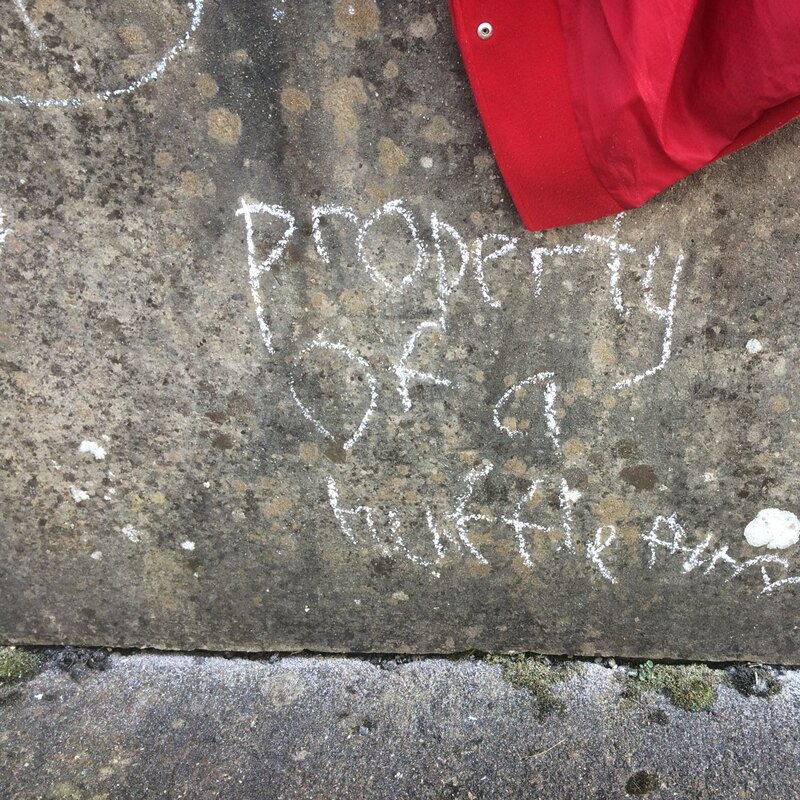 With rights and privilege come a responsibility to fight for those without: some thoughts about why I’ll be campaigning to repeal the 8th amendment. 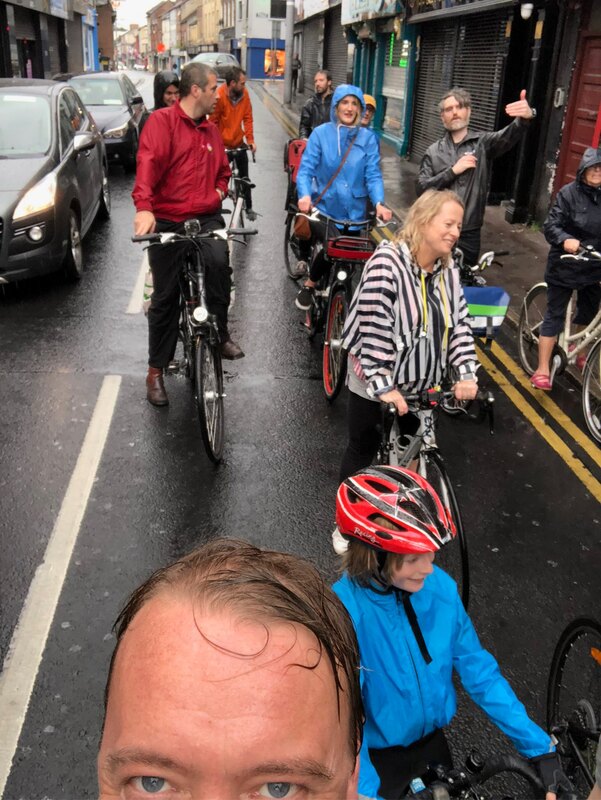 I’ve put together some thoughts on how we could achieve an integrated bus network in Limerick and still keep our city centre free from through traffic. Links for this week: research falsification, gaslighting, six degrees of wikipedia, red dots. 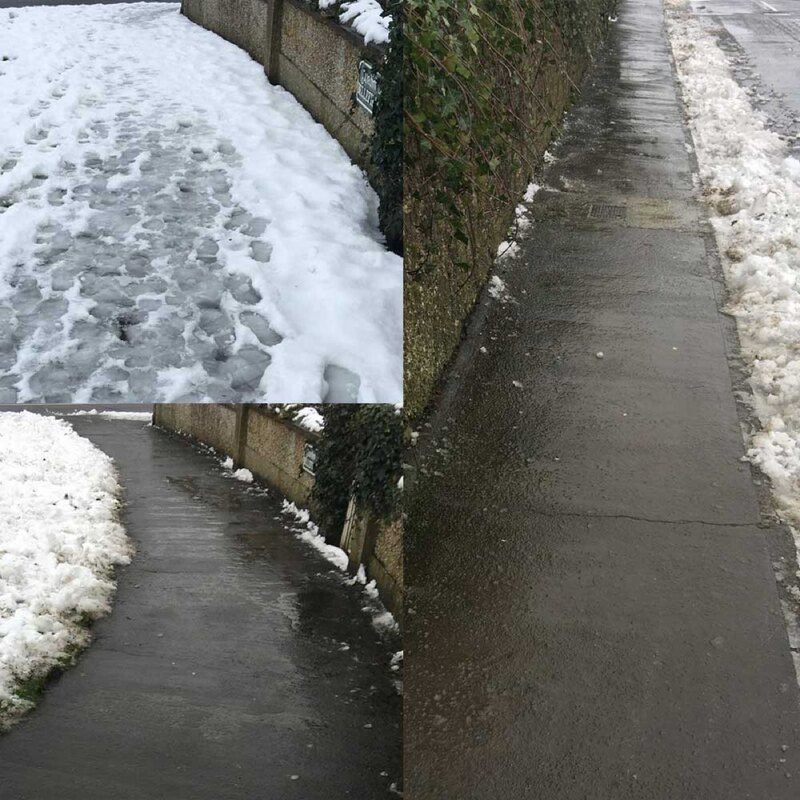 Clearing a snow-covered footpath is very satisfying. I’m a bit wrecked now though! My current commuting outfit makes me look a bit demented but at least it keeps the snow out of my eyes. This week’s links: lobbying, dictionaries and first world problems. I’m looking forward to presenting some research on the impact of traffic removal in regional city centres on Wednesday, alongside six other very talented speakers. Event is free but you need to book. This week’s links include baby advice, a gloriously sprawling article about tech, design and the Amish, and a guaranteed way to get to sleep. Anybody hiring iOS developers in Limerick or remote? Not looking myself but I know quite a few very talented iOS devs locally who are available, they would get snapped up in a heartbeat if they were in a bigger city. Contact details on my website if anybody wants to get in touch. 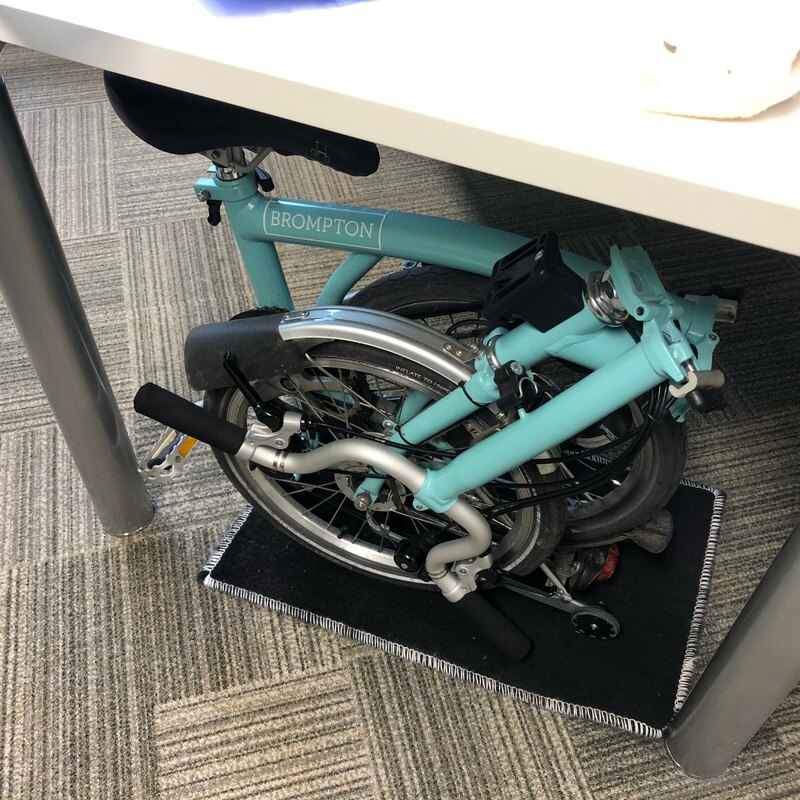 To the random heroine who tried to stop to help me after I fell off my bike on the ice, and ended up falling off her own bike as a result: thank you and I’m so very sorry! Links for this week include a few interesting posts about ethics in the tech industry (which is turning into a bit of a hobby horse for me) and a wise article from Michael Lewis about US politics. Good crowd for our Limerick iOS dev meetup tonight. 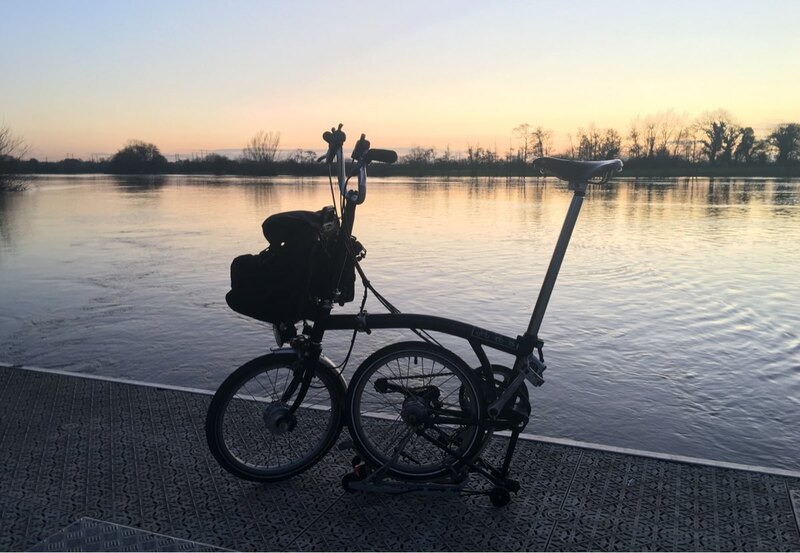 Brompton silhouette this evening by the River Shannon. Links I enjoyed this week, including proto social networks, insecure overachievers, and the punk rock internet. 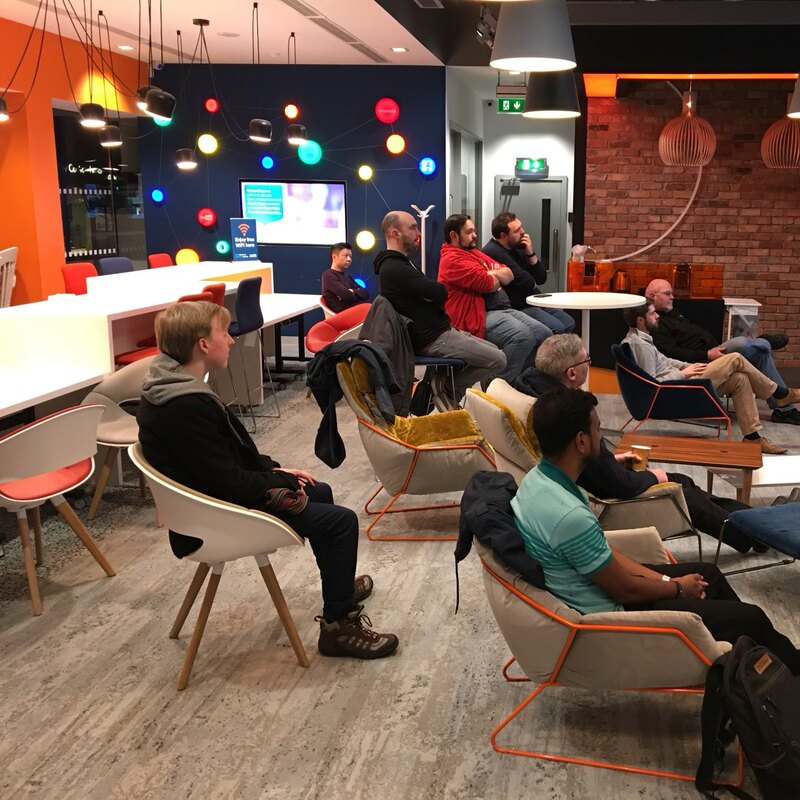 Attended the first Limerick AI/Games meetup last night. Good fun, interesting talks and fun pints after. A new present to myself. Taking a while to break in but it’s starting to feel very comfy. Weekly links 2018-01-28 including a glorious essay about the McRib as a commodity, PR luvvies and how to pay for followers on social media. 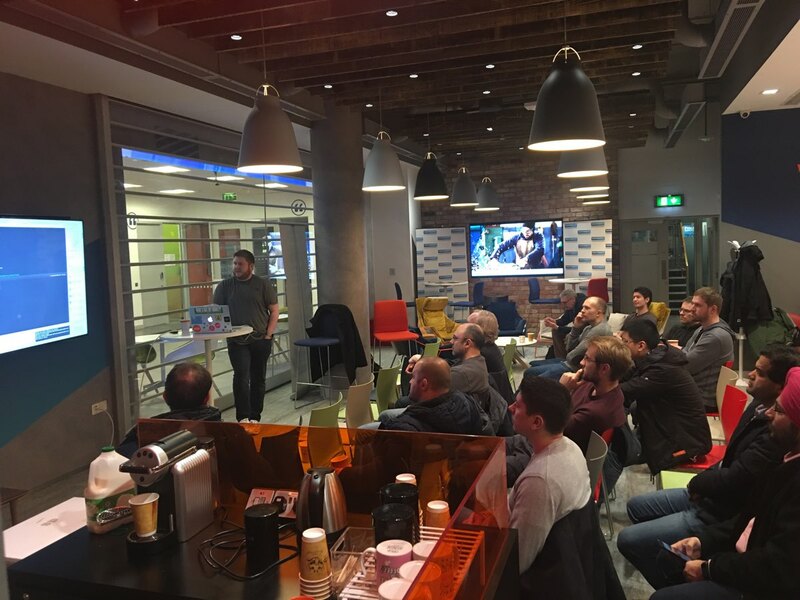 Looking forward to the next Limerick iOS Development meetup on Feb 9th. Local dev Allen Wixted will be showcasing his new AR app No Place Like, and sharing some of its backstory. 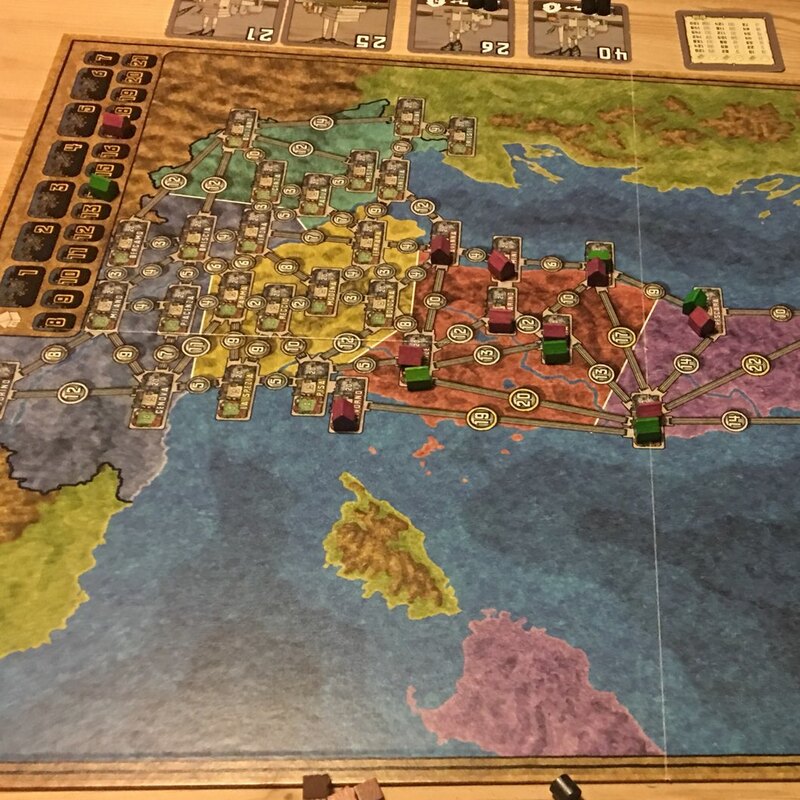 Weekly links 2018-01-21 including BuzzFeed’s style guide and German board games. New podcast episode “Return immediately or your tree will die” with some good game recommendations from Baz at the end. 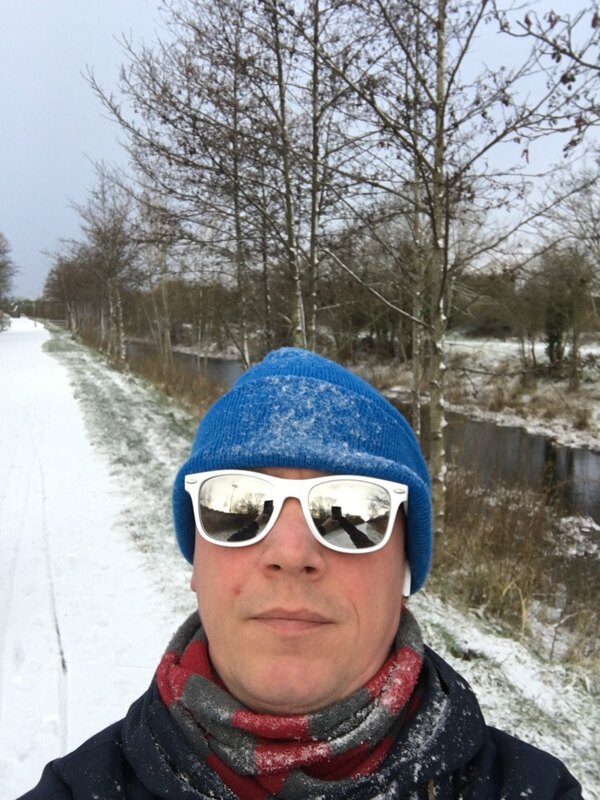 Links 2018-01-14: including cryptocurrency cynicism, the origins of the Iraq war in 1990s WWII nostalgia, naming things, mens fashion and the 17 year-old in Ratoath teaching the world how to (maybe) make a fortune. Starting a new job today. The commute is very nice. 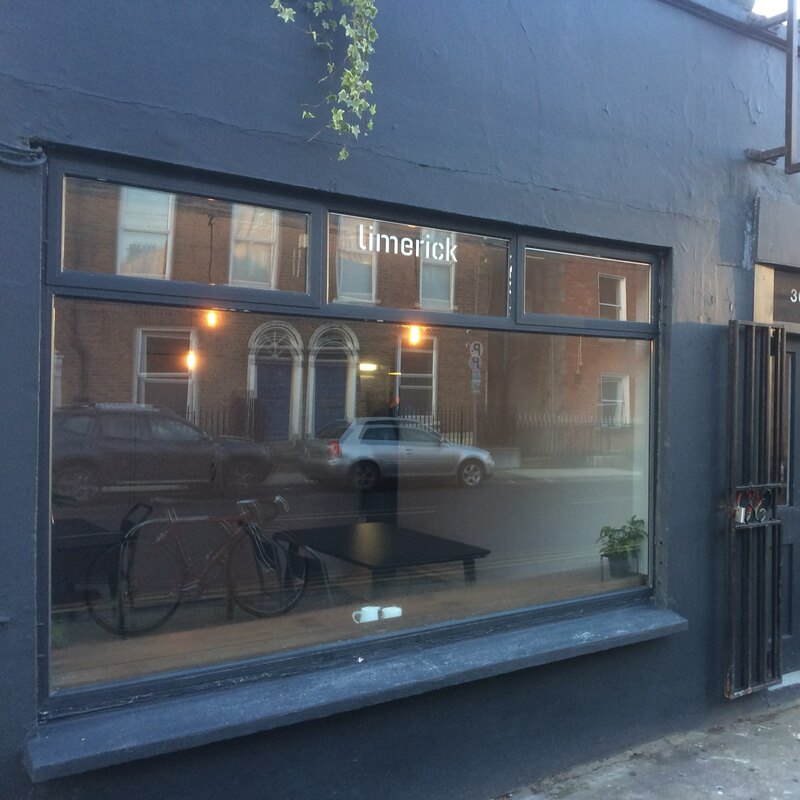 Great coffee returns to Limerick’s Mallow Street. So happy! @aaronblock I enjoyed your blog post about using Swift as a teaching language. Curious to know how changes in Swift 3/4 have made a difference, e.g. readLine()? Interesting news for iOS devs – Buddybuild has been acquired by Apple. There have been consistent improvements in continuous integration/delivery in Xcode over the past few years but this could be a big step change. I wonder if they will make the additions to Xcode Server or will they switch to a cloud model for testing and deployment? A new experiment I’m running – [a weekly list of links to things I enjoyed reading over the week. ](http://thomas.bibby.ie/links-2017-12-31/) Feedback welcome! When you close a street to traffic, you open it to hearts and minds. Final step with Micro.blog – verify that this site is hooked up to my micro.blog account, which hopefully I just did with that link! Think everything is hooked up now. I can even post to my own microblog from the micro.blog app! Love the simplicity of it all. Kudos to @manton for allowing me to take control of my own content. Wonder if that @ mention will work? Hopefully this is now set up to post to micro.blog – am taking notes and might do a writeup later.